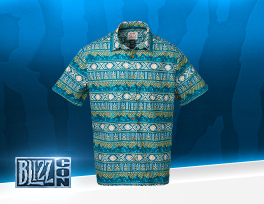 Get your hands on some sweet BlizzCon 2016 merchandise! 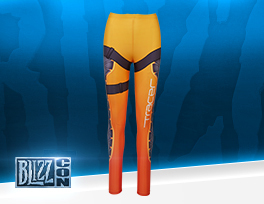 Bear in mind that there will be more merchandise up for grabs, when BlizzCon 2016 begins on November 3. 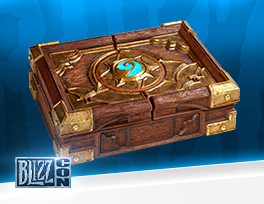 That Hearthstone Box looks pretty Sweet. :) I might have to get me some goodies this year. My wallet is basically crying already. 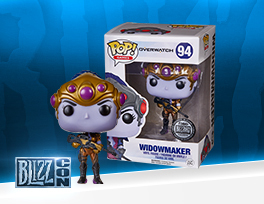 Your source of the latest BlizzCon 2018 news. Welcome to the Icy Veins' BlizzCon 2018 hub. Here you will find links to all the latest information as well as individual panel coverage. Creating WoW Classic WoW Classic Content Release Plan WoW Classic Details (Release Date) WoW Classic Clarifications: November 3 A centralized hub for everything related to this year's BlizzCon. BlizzCon's opening ceremony is upon us! Check out our liveblog of the event! The opening ceremony is now over. Stay tuned for individual panel coverage. The game's called Diablo Immortal. Diablo Mobile is coming. The action RPG can be played by everyone anywhere. There's a new trailer playing right now, naratted by Tyrael. Hearthstone's next expansion is called "Rastakhan's Rumble". Overwatch had an animated short with a new Hero tease. Warcraft III Reforged is coming. The game is coming next year, and the Cunning of Stratholme will be available as demo at BlizzCon. Blizzard just premiered a trailer starring Anduin and Saurfang called "Lost Honor". WoW Classic will be available to everyone with an active WoW subscription in Summer 2019. More information can be found here. Kul Tiran Humans and Zandalari Trolls will be available after Battle for Dazar'alor. For latest WoW info, don't miss the "What's Next" panel later today. Orphea is coming to Heroes of the Storm along with various skins in what appears to be Heroes of the Storm 3.0. 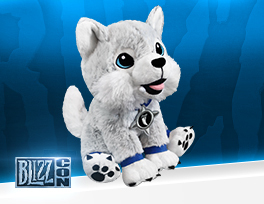 The Hero is free to all BlizzCon attendees and Virtual Ticket holders! You can find more details here. A new World of Warcraft pet "Whomper" is now available for purchase. The community helped raise 12.7 million $ for Breast Cancer Research (Pink Mercy Skin & Shirts). Brack is now on stage talking about Blizzard's dedication to create great games. Starting today, you can play Diablo 3 on Nintendo Switch. Blizzard co-founder Mike Morhaime is now on stage welcoming everyone, talking about how far they've come. He's passing the torch to J. Allen Brack, the new President of Blizzard Entertainment. The ceremony is slightly delayed. We just learned that they're giving away a free copy of Destiny 2 to players that must be claimed through November 18. According to Blizzard's latest post, BlizzCon 2018 will primarily focus on an upcoming patch and not Tides of Vengeance. The article also comes with information on additional security updates at the convention. It almost sounds like we're getting Patch 8.1 right after BlizzCon. We know that Battle of Dazar'alor won't open immediately with the release of 8.1 and Blizzard said they're adopting the Legion patch cycle in Battle for Azeroth. Each Legion patch has been 77 days apart and Battle for Azeroth launched 76 days ago! Hey guys! Just wanted to take some time to set some expectations ahead of time when it comes to all of the announcements and discussions when it comes to what we’ll be talking about at BlizzCon this weekend, as well as remind everybody of some changes when it comes to security this year for attendees. As you all are probably aware, we’ve been hard at work on the upcoming Tides of Vengeance content update. We are very excited for this update and it is very much our immediate focus and will continue to be until after we’ve delivered it to you all. At BlizzCon you’ll be hearing us talk mainly about what comes after Tides of Vengeance. We do plan on discussing some of it, but as many of you know, BlizzCon is where we typically talk about longer term goals and plans. The feedback you all have given us about Battle for Azeroth is something we are very grateful for and we can’t wait for you to experience everything coming with Tides of Vengeance. For those at home on the Virtual Ticket, please let us know what you think about all the things we share that are upcoming for World of Warcraft. 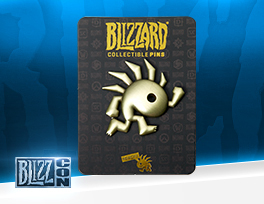 As for the security updates I mentioned earlier, we recently posted a blog on the BlizzCon site that I want to mirror to increase awareness. We’ve enhanced our security this year so I want to make sure to mention that you guys should look at arriving earlier than previous years especially if you’re wanting to catch the opening ceremony live on Friday. For those who are coming out to Anaheim for the show, we look forward to meeting you and spending the weekend geeking out with you. BlizzCon Schedule Is Live, Hints at Diablo Announcement? Blizzard have finally announced the full schedule for all the panels, competitions, tournaments and events that will be shown at BlizzCon on November 2nd through the 4th! Obviously the opening ceremonies are the main focus, just in case we get some brand new announcements (gogo Diablo 4), and among the many "What's Next" panels and World Championship tournaments for the various games we have a Diablo: World and Q&A panel in addition to a what's next one (and we really, REALLY want an answer to that question for the Diablo franchise). Also of note is the Lorecraft: Creating Memorable Characters and BfA Cinematics panels, where we might get some more discussion on the disappointment some players are feeling in the story/character development in WoW. In any case, there's a lot going on this year, and with the Virtual Ticket including access to the WoW Classic demo, as well as faction cloaks for WoW characters and a lot more, it seems there will be many viewers, among which many excited Diablo fans are just waiting to be disappointed. Here's the full schedule for each day. The full BlizzCon schedule is here and there seem to be some hints at a Diablo-related announcement! So, on a scale of 1 to (D) 4, how likely do you think a Diablo announcement is and how ecited would you be if there was one? A whole lot of info has arrived with the All-Acess Kickoff Show today and we can now buy the Virtual Ticket, which is 10$ more expensive this year (but includes last year's archive) and we can download the BlizzCon Mobile App!